Arthur Wellington Fowles was born in Ryde, Isle of Wight where he lived and worked all his life. 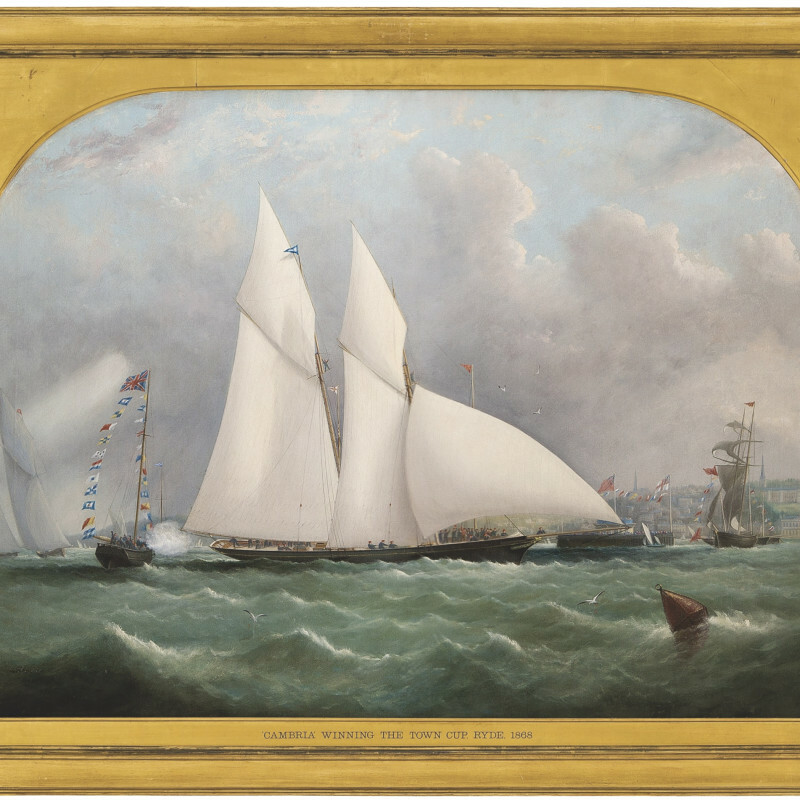 Living on the Solent and near Cowes gave Fowles access to the great yachts of the early days of British racing, especially those attached to the Royal Yacht Squadron. He also excelled in subjects associated with Queen Victoria's frequent visits to her official residence, Osborne House, fairly close to Ryde. He is most famous for documenting the Schooner ‘America’ in her first campaign in England for the trophy that eventually became the prestigious America’s Cup. His major works are in the National Maritime Museum, Ryde Town Hall, and at the Bury Art Gallery and Museum. The printmaker T.G. Dutton produced many of his paintings as lithographs.